Home / Do you shop online? Whatever you buy online – from your weekly shop to your annual holiday – you could be collecting free donations for Buzz Active! We’ll use any monies raised to buy sit-on-top kayaks to be used by schools and youth groups. 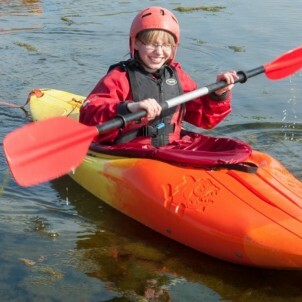 These kayaks are easier for people with special educational needs to use. But they are also great for anyone to use who is building their confidence. There are over 3,000 websites on board ready to make a donation, including Amazon, John Lewis, Aviva, thetrainline and Sainsbury’s – and it doesn’t cost you a penny extra! 1. Head to the Buzz Active page on easyfundraising and join for free. 2. Every time you shop online, go to easyfundraising first to find the site you want – e.g. Sainsbury’s – and start shopping. There are no catches or hidden charges and the money raised will allow more young people will get a chance to enjoy kayaking.